Temperament Test are performed Monday through Sunday. Temperament tests are scheduled between 10am and 4pm on weekdays and 11am through 3pm on weekends. Temperament tests last approximately 30 minutes. We suggest scheduling a test for boarding dogs in advance to your needed stay dates. Please call the store to schedule your temperament test (626) 229-9835. Please be on time for your temperament test appointment. 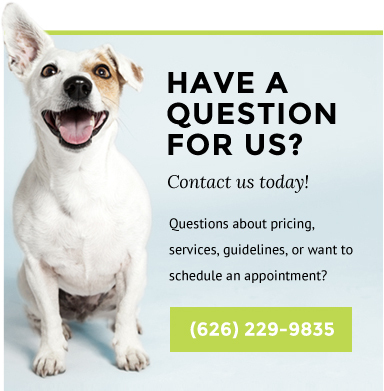 We schedule these very carefully for the safety of your dog and the dogs in our facility. A late show will most likely be re-scheduled. The test can take anywhere from 20 minutes to an hour depending on how quickly your dog settles into the pack. In some cases we need the dog to stay for a full day to properly assess their behavior. Your dog will first be introduced to one dog at a time depending on their energy level. If they are a calmer or more submissive shy dog then they will meet a dog who is calm as well. If they are higher energy then they will meet a dog who is on their level of energy. They will be introduced to these dogs in a smaller setting before being taken into the main daycare space. For those dogs who may be defensive or fearful, we want to see that they can control themselves in a stimulating situation: air snaps, growling, teeth baring etc, show us that they know how to communicate their boundaries to other dogs without actually harming them. We can work with that to improve comfort levels and social skills. Your dog will then be introduced to the play group slowly, at their speed, with the small group of dogs they were initially introduced to. We ask that pet parents not look through our windows during this time. It’s very distracting and stressful for many dogs when they are trying to acclimate to a completely new environment but they know their parents are right outside. We monitor new dogs to ensure that they interact well with their environment. This can be anything from running to exploring and sniffing, or a dog who observes intently from a “safe” area. 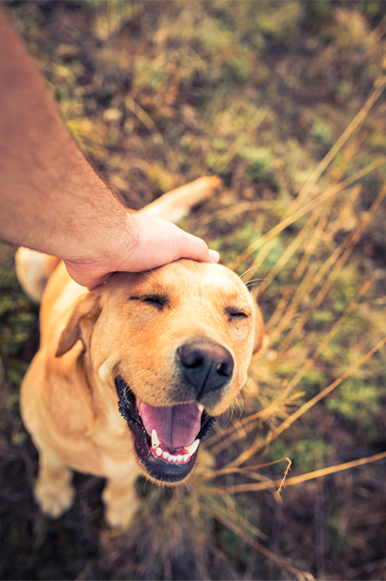 Dogs must also display self-control and good responsiveness with signals from other dogs and human handlers even when at the peak of their excitement and play. We are well trained in dog behavior and we can handle many shy dogs. The majority of dogs that come in for a temperament test pass. We are only looking to weed out aggressive behavior that may need a more focused training than we are capable of giving in a daycare setting. PHASE 3: MY DOG PASSED! NOW WHAT? If your dog passes their temperament test they are qualified to stay the same day or come back another day for their first day. Their first day is FREE! They are now qualified for our cage free boarding. Grooming Services will be unavailable 3/18-3/21/2019. We apologize for any inconvenience.